FYI, with the latest rolling restart, TP's between regions that were JUST restarted are still failing. I'm personally in the middle of the road on this. I personally want to try it without the ban lines but I mostly stepped in to start debating when I noticed some things starting to get out of hand and decided to try to calmly debate the side of those that are pro-banlines. I can see and sympathize with both sides of the issues and I'd love things that both sides are wanting. I do actually like and enjoy exploring (despite accusations that I'm not an explorer because I was arguing the pro side.) I just make sure to account for lag when I'm going to cross a sim border but that's because I'm not used to my new computer that handles the sim crossings super smoothly even with all photo and windlights setting maxed out. My old pc just could not do this. 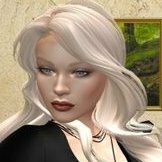 That being said I have also dealt with situations for being on the wrong old linden home sim at the wrong time because of a series of griefers. I've also dealt with this on mainland as well. I am hoping that SL has changed again and gone back to the beginning of the circle. When I first joined SL it was a very community-oriented place and I have been missing that feeling. It feels like for a while it moved away from that and I am loving that shift back to it.